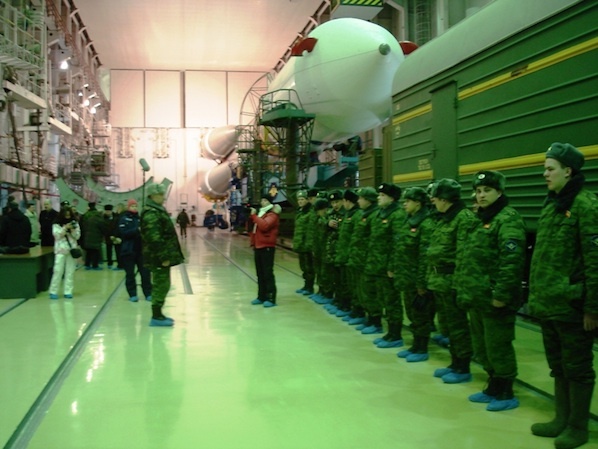 A Soyuz rocket is poised for launch early Saturday from a Russian space base with a next-generation Glonass navigation satellite. 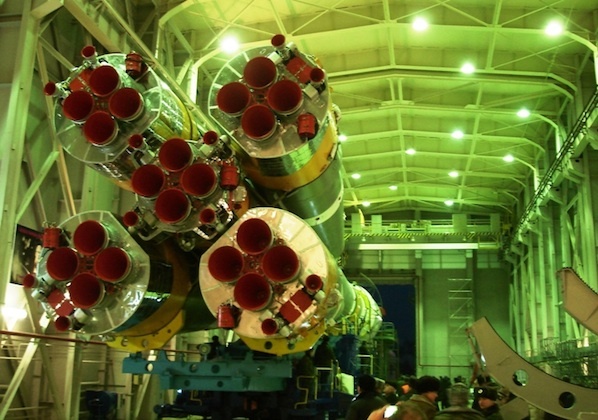 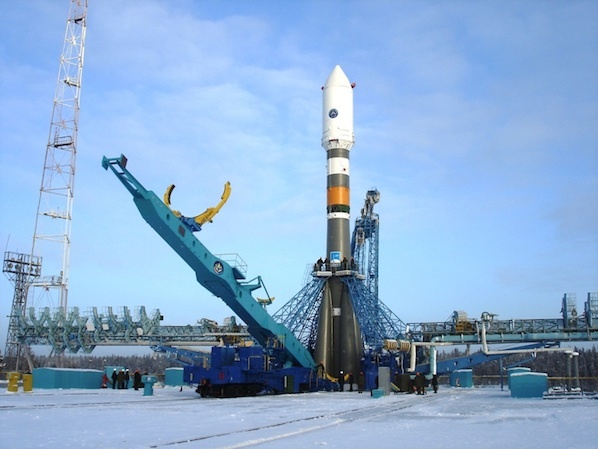 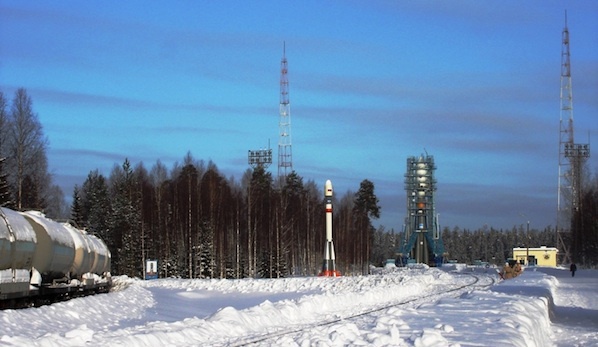 The upgraded Soyuz 2-1b launcher, featuring advanced digital avionics and a more powerful third stage engine, is scheduled to lift off at 0307 GMT Saturday (10:07 p.m. EST) from the Plesetsk Cosmodrome in northern Russia. 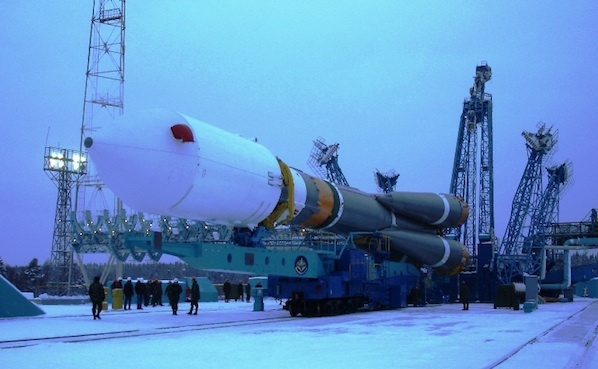 The Soyuz and a Fregat upper stage will haul the first Glonass K satellite into a nearly 12,000-mile-high orbit to join Russia's navigation network in space. 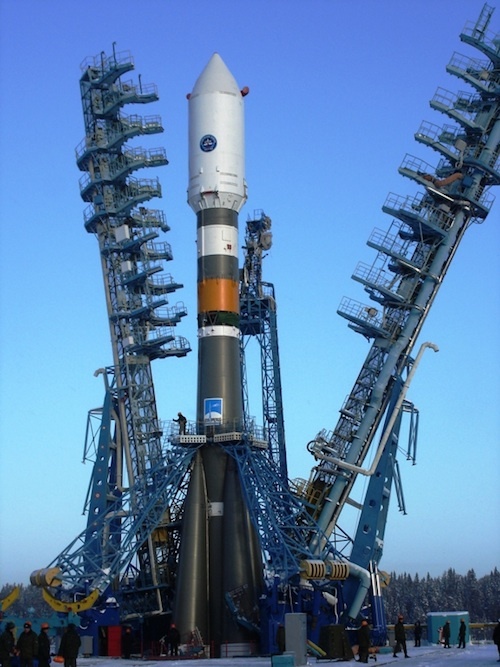 The next-generation satellite, built by ISS Reshetnev, has a longer design life, more navigation channels and is smaller than previous Glonass spacecraft. 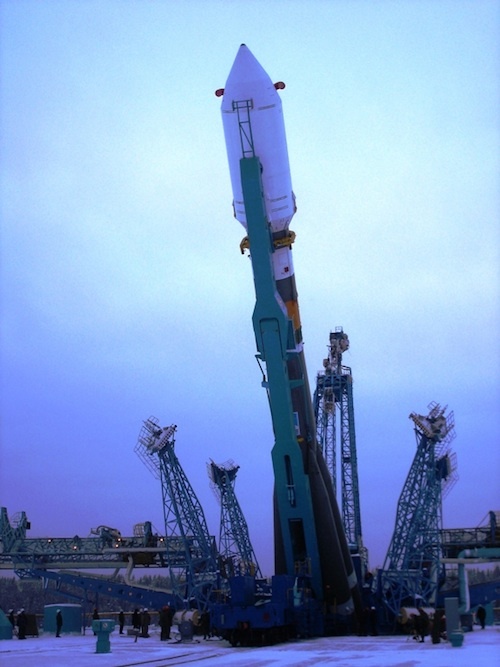 Launch was postponed from early Thursday by a technical issue, but Russian officials report the mission is on track for liftoff Saturday. 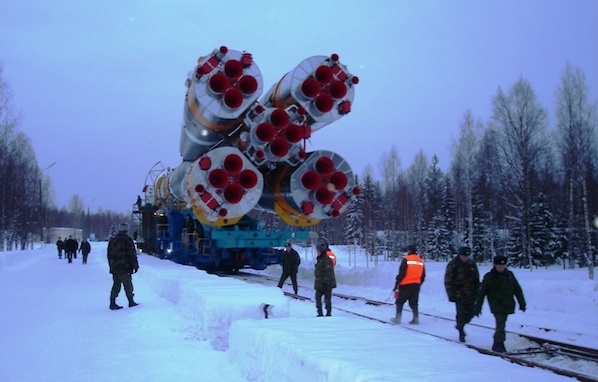 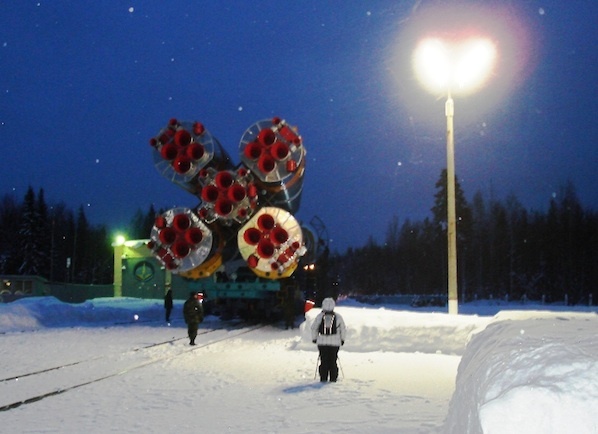 These photos show the Soyuz rocket rolling to the launch pad at Plesetsk earlier this week.